Recently, my fellow testers and I were able to embark on what I will call a Big Cheese Bonanza. Armed with my sample coupons, I head over to the nearest Safeway in search of four different types of cheese: Alouette Baby Brie Wedge, Aloutte All Natural Spreadable Cheese, Alouette Crumbled Cheese, and Chavrie Fresh Goat Cheese. We scoured the dairy isle that held the other cheese and was about to give up when I reached the end of the aisle and hadn’t found a single one. Disappointed, I was about to walk out until I spotted out of the corner of my eye, another section of cheeses near the deli. Apparently, the gourmet cheeses – the good stuff- don’t hang out with Kraft or Lucerne. They have a nice refrigerated display all their own. With renewed energy, I began scouring the section for the umpteen different Alouette varieties and the Chavrie Cheese and was almost overwhelmed by all the different options. Fortunately, I had inspected the coupons before hand and had pre-selected the varieties I wanted to try. We selected the Spinach Artichoke flavor and sampled them with Keebler Club Crackers. The texture of the cheese is very smooth and creamy. It was very easy to dip the cracker into the cheese and scoop it out. On one hand, I know that sounds like a silly thing to say, but on the other hand, I can’t count the number of times one of my chips or crackers has broken in half in the dip. Flavor-wise, it taste like one of the best spinach artichoke dips I’ve ever had. 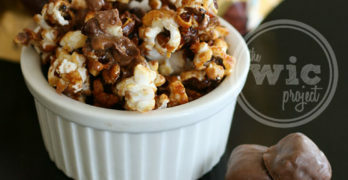 It was a BIG HIT with all six of the testers. One tester thought they could eat it every day of their life. 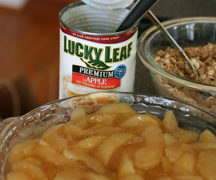 Other folks thought that the balance of flavor was just right and that it had a hint of sweetness. I finally had to take this cheese away so that the testers would get back to testing the other cheese. Evidence of how much they liked the Alouette Soft Spreadable Cheese is in the picture at left. This is what it looked like after 10 minutes. 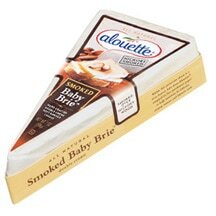 Available in two different flavors: Original and Hickory Smoked, the Alouette Baby Brie was the winner of the 2009 Chef’s Best Award. The Alouette Baby Brie Wedge has a white rind around it (which apparently is a harmless (as long as you aren’t allergic) mold formed from penicillium candidum or penicillium camemberti) and a smooth, pale-yellow interior. The texture of the brie was very soft. At this point, I have to make a slight disclaimer – none of the testers had ever had brie cheese before, so we weren’t sure what to expect. Eating this right after the spinach artichoke spread probably didn’t help it too much. In general, testers found to have a very strong flavor that was a little sour. A few of us strongly suspect that if we had more refined palettes, it would allow us to appreciate this cheese more. A high-quality Brie cheese will have a white rind color, and a glossy interior with a whitish-yellow appearance. The best Brie cheeses have a detectable aroma, but not so strong as a pungent Camembert or blue cheese. The smell should be bright, suggesting quality garlic and onion ingredients. The most basic taste in great Brie is saltiness, but you should also be able to identify some sweetness and sourness. The best Brie will have a balanced combination of buttery, dairy, and nutty tastes that don’t overwhelm. Verdict: N/A – I don’t feel qualified to give a fair rating to this cheese since I don’t know what it’s supposed to taste like. I’ll be honest that the whole rind thing threw me off a little – do you eat it? do you not eat it? We tasted the Feta Garlic & Herb flavor. Since we only had crackers, this one was harder to sample. I ended up just grabbing chunks of cheese and popping them in my mouth like M&M’s then washing the flavor down with a cracker. The Feta Garlic & Herb flavor is very strong, so I definitely see this more as an additional flavor cheese than an eating solo cheese. Interestingly enough, the kids really seemed to enjoy the crumbled cheese and I spotted them eating it with their fingers more than once! Verdict: 3.5/5 – We thought it had a strong flavor, but if we’d eaten it on a pizza or with pasta, then the flavor probably would’ve been just right and the rating would be a 4/5. The last cheese we tasted was the Herb Flavored Chavrie Log. 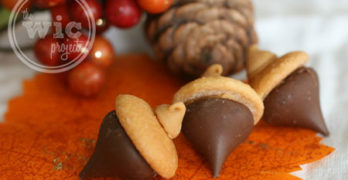 It’s also available in Original (log & pyramid) and Basilc & Roasted Garlic (pyramid) flavors. The Chavrie Log had a surprisingly creamy texture which was very easy to spread on the cracker. It has a strong cheese flavor but I was able to detect the herb flavor in it. A few of us noticed that this cheese has a strong lingering after-taste. This is another cheese where I would follow their chef’s recommendations to use in baking or cooking, so the flavor doesn’t become to over-powering. Both Alouette Cheese and Chavrie Cheese have several delicious recipes that you can cook up using their cheese, which we will post here. In the meantime, if you would like to try these great cheeses yourself, you can enter the WCatDD Big Cheese Giveaway! 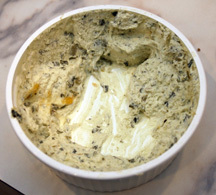 I'd love to try the Spinach/Artichoke Alouette Soft Spreadable Cheese. I would definitely just take the plain wheel of baby brie. That is enough for me 😉 Yum! Thank you for this giveaway! 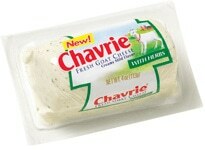 I would love to have some of the Chavrie Fresh Goat Cheese!! We would try the Alouette Garlic and Herb Cheese. I'd like to try the Garlic and Herbs baby brie. 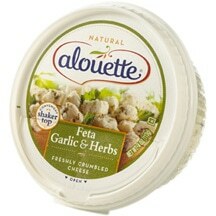 I would try the Alouette Garlic and Herb Cheese. I'd like to try the Alouette Creme de Brie, original flavor. I've had some of the Baby Bries before, and they're terrific with fruit. ReTweeted for the last day! The Alouette garlic and herb or baby brie. I'd like to try the roasted garlic and pesto Aloette elegante.